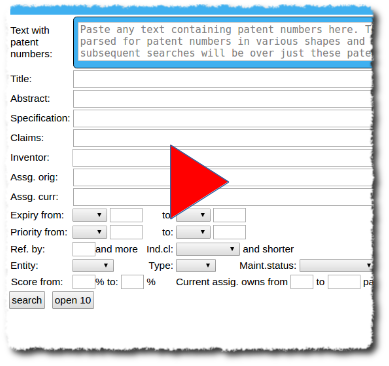 Create lists of patents from any text - just copy and paste. 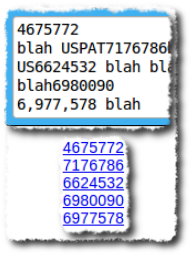 The text is parsed for patents numbers in any shape or form. Patents are given an automated score. Score of 1 means in the top 1%. Independent claims are placed on top, shortest first. Makes grasping patents a lot easier. 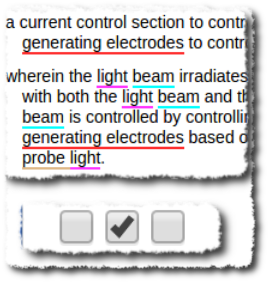 Underlines show the repeating text to help you read and compare claims. 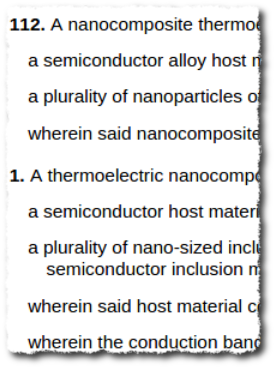 Which claims mention "generating electrodes"? Look for the red underline. You can easily look up a claim term. 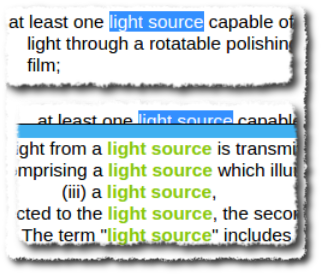 Simply highligh a word. A popup list shows where the word is mentioned in the spec. patentCut is completely free during the introductory period. Once enough users decide they like it, it won't be free anymore. patentCut assumes no responsibility for the correctness or completeness of the data. Calculated and processed data may contain errors. For example: priority date, expiration date, maintenance status etc. 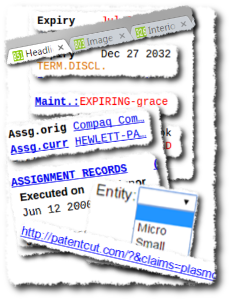 patentCut analyzes user access data only for the purposes related to patentCut operations. patentCut does not share or resell user data with any other company, organization or individual. patentCut's Web Analytics respects Do Not Track requests, anonymizes a portion of user's IP address and keeps all information locally on patentCut servers located in Canada. patentCut reserves all rights. 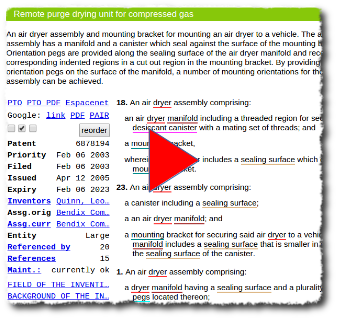 All content on this website which is not simply a straight copy of the USPTO data is the property of patentCut with all rights reserved, including without limitation, design, features, calculated dates, generated links, underlines, processed data, converted characters, filtered data, looked up data, converted data and calculated data. Each unique IP address is allowed around 1000 downloads per day. 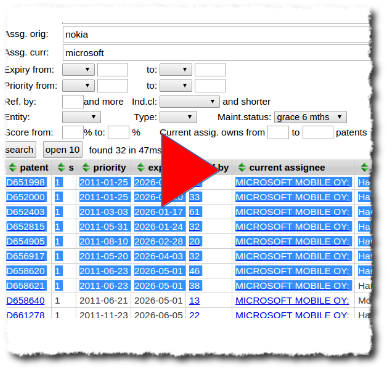 Raison d'être for patentCut is to make it easier and faster to find and read patents. The screen in front of you is valuable surface. It should show the most important information on the most important part of the screen. Yet, it should allow you to drill into details easily, without a myriad clicks, scrolls and searches. patentCut is designed to be fast. The waiting time for your search results should be measured in milliseconds, not minutes. Here, the machine does the work for you, not the other way around. Why do you need to scroll through pages and pages to find that the shortest independent claim is 112? The machine should do that, not you. The design philosophy for this site was Occam's razor, supposedly summarized by Einstein as: "Everything should be kept as simple as possible, but no simpler." Hence the patentCut name. This is how Occam's razor cuts.